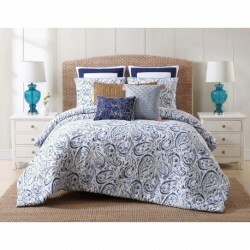 100% Cotton casual beach bedding with a blue paisley pattern and all the accessories. 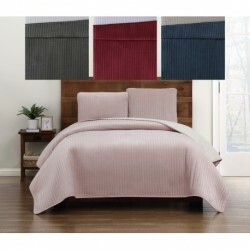 Quilt Sets in blush pink paisley pattern in a watercolor style easily coordinates to your room. 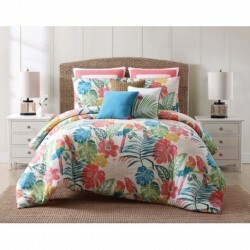 Oceanfront Resort Cove is a coastal inspired pattern with a delicate coral pattern printed on the face of the bed. Oceanfront Resort Sunwashed Isle is a coastal pattern inspired by the hand laid tile patterns of the Mediterranean coast. Make your bed that cozy little nest with the comfortable chambray bedding collection in 100% cotton. From the leader in velvet bedding, this new twist on plush bedding combines crystal velvet face cloth with a coordinating colored pick stitch on the quilt and shams to give you outstanding warmth and fashion for your bedroom.